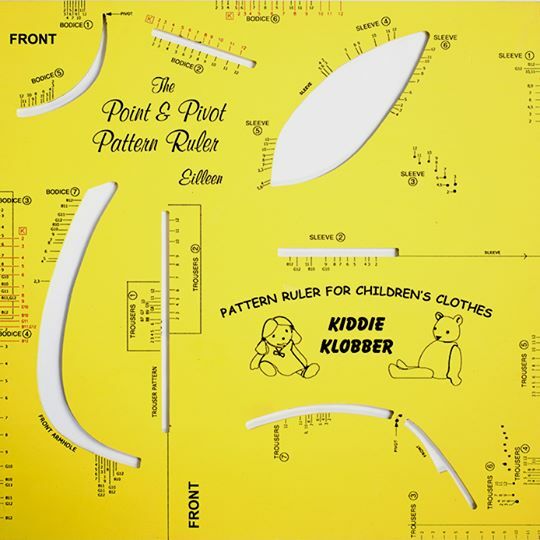 "The Most Proficient Piece of Equipment in Pattern Making you could ask for! - and it is so easy to use" YOU Can Create Any Pattern YOU can Imagine This is a teach yourself pattern making system for you to use at home. If you sew - you deserve this innovative pattern making tool. The "Make Perfect Trousers" Tutorial Book is a comprehensive step-by-step Guide on how to use the Point and Pivot Pattern Ruler to create and design your own trousers. The "Make Perfect Trousers" Tutorial Book also includes some tips and techniques on common figure fitting faults. You use your own personal measurements when Designing your pattern, assuring you get that perfect fit without having to waste time or money at a tailors. Pattern making is a relatively easy skill to master. There are a few basic principles which you will discover by reading the enclosed instruction books. It is well worth taking time to read. You will discover the little tips and the design secrets that designers and couture’s use that get the sewn garment finished with a professional look. One such trick is in how the to design to make the pattern - whatever it is - follow the contours of the body. The crux of any sewing venture starts with the pattern. If the pattern is not correct to size, your size - the final garment will not seat correctly on the body. We commonly think that this is due to a fitting problem.